I just pulled into my driveway and this Blue-Grey beauty came to say "Hi". 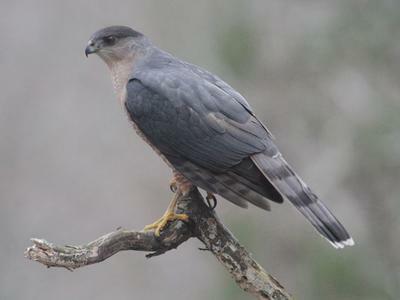 I'm sure it's a Cooper's Hawk. Although Red-Tails are prolific in this area, these Cooper's don't seem to be. Wow, what a great shot! I'm sure our readers will love this picture as much as I do - thank you for sharing!